"The Willoughby Book Club was born in the same way that most new start-ups are – we recognised a gap in the market. 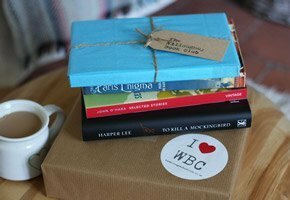 Chloe had looked for a similar ‘book a month’ gift for me on a couple of occasions, and hadn’t been able to find anything suitable, so we decided to give it a go ourselves." "Make the most of the additional features service. There are some really powerful tools to help you manage your product range and market your business."